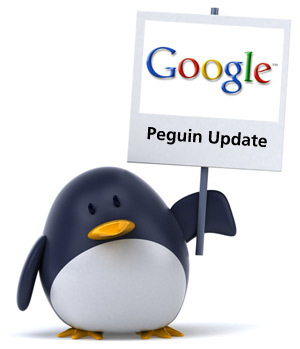 Google recently released its another algorithm change to its search engine ranking. This was named as ‘Penguin’ and released on April 24th 2012. Since its release, it has created havoc through out the search engine marketing world impacting Google ranking & traffic globally. Even good brands & big websites were also affected. Don’t ask about website traffic, many websites have totally lost their listing from Google search result. However, Google has been forced to admit teething problems with the update after it received complaints from legitimate companies that had been removed from search rankings as a result of the changes. Lots of people will not agree. But there are websites those have totally gone out from the Google’s Organic Search Result. Try to find ‘changeface’ in Google. A website called changeface.me is not listed anymore in search result. This proves that how dangerous impact has been done with this new release of ‘Penguin’. If you are one of such website owners or webmasters, please notify Google by filling this form https://docs.google.com/spreadsheet/viewform?formkey=dEVxdmdRWFJRTjRoLWZVTHZkaTBQbkE6MQ&ndplr=1 about this impact including your website / web pages and hope to get your website re-included. Results also shows the impact to websites with higher backlinks and lesser domain age. Re-check your website before its too late to figure out areas which may affect your website too. For expert consultations or optimization of your website, please feel free to contact us.